Hillsboro city officials have given the green light to building a citywide internet utility. The city of Hillsboro plans to make its long-touted plans of providing high speed Internet to residents a reality as early as next year. On Tuesday, May 15, city councilors committed to making affordable Internet access a city utility, the same as water and garbage service. The city plans to begin phasing in city-owned fiber optic Internet to residents in two city neighborhoods in 2019. City officials have said that having access to high-speed Internet is an essential component to living in the 21st Century. "Like water, electricity and other public utilities, Hillsboro residents and businesses will increasingly expect high-speed access to be reliable and affordable throughout our city," city staff wrote in a recent report. The first of these neighborhoods will be near Shute Park in southwest Hillsboro. A definitive boundary hasn't been worked out, yet, but city officials say the service will be provided to homes and businesses west of Southwest 10th Avenue and south of Baseline Road. City officials have said that low-incomes areas of Hillsboro will receive the service first. Lower income families are less likely to have reliable Internet access, according to City Councilor Anthony Martin. That has created a divide among different aspects in the community, he said. "They don't have access to this vital utility," Martin said. "We are hoping to address that." The second neighborhood to receive the access isn't built, yet. The new South Hillsboro development currently under construction along Tualatin Valley Highway on the outskirts of the city is seen as the easiest place to bring fiber optic access to. Crews can install the cables as the neighborhood is built. It could take as long as a decade to bring the network to every home and business in Hillsboro, Preston said. City spokesman Patrick Preston estimated residents will pay a flat $50 per month fee for Internet access through the city, with at least 1 gigabit per second download and upload speeds. Low-income households could pay as little as $10 per month, planners said. The city has thought about offering municipal Internet for years. Hillsboro was one of several Portland area cities in talks with Google Fiber to bring high-speed Internet to the area, but those talks fell through in 2016 when Google opted not to expand to Oregon. 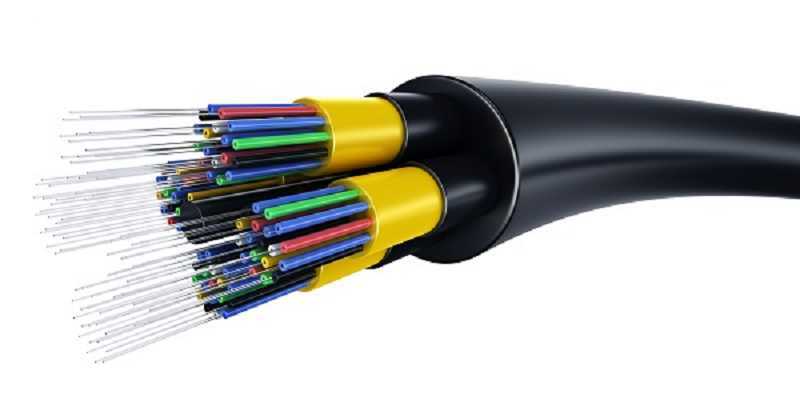 The city had considered building its own fiber optic network several years ago, but the program proved too costly when it was first pitched in 2015. Hillsboro Mayor Steve Callaway said the city has continued to study the plans, to find a way to make it affordable. "It's not just a pretty service," Callaway said. "It's pretty essential. It sets us apart from other communities." The city has taken small steps toward fiber internet over the past several months. The city is currently connect city-owned buildings to a fiber optic network, as well as local schools and other government buildings. Earlier this year the city formed a communications utility to serve as a framework for the program, and updated city codes to better coordinate with public utilities to install pipe for fiber-optic cables whenever new or existing roads are dug up. For the first few years, the program will be paid for by Gain Share, a state program that allows the county to channel some of state income tax dollars into special projects. Customer revenue will pay for operations after that. The city still has many questions still to answer about the service, said Greg Mont, the city's information services director. Not the least of which is determining which households will qualify as "low income" to receive the reduced utility fees. It's also unclear which neighborhoods will be connected to the network after South Hillsboro and Shute Park are connected next year. Callaway said while some have scoffed at the idea of the city providing municipal Internet, the city sees it as a vital part of making the community livable. "If you look back 100 years, people were asking if cities needed to provide water. People said, 'We have wells in our backyard.' But look at where you're going and the direction technology is going. We realize it is an essential service." Callaway said the decision has other benefits as well. City planners hope the network will not only please residents, but will help attract and retain high-tech businesses. Hillsboro is home to several high-tech companies, including Intel, Genentech and others which make up the heart of the so-called Silicon Forest. "We think about Hillsboro as a high-tech hub," Callaway said. "This is a logical thing for us to do. We are competing with other cities around the country and the world, so to offer this for businesses or employees relocating here becomes one more attractive thing we can offer." And as talk in Washington, D.C. continues to swirl around issues of Net Neutrality, city officials said a municipal Internet service will ensure that residents aren't left behind by rising costs or other commercial interests. "At a time when concerns about net neutrality raise questions about unrestricted access to internet content, our community also has an uneasy reliance on the commercial market to determine access and affordability," the city said. "Without high-speed access, community members are less informed and less equipped to thrive. Lower-income residents struggle to achieve internet and computer literacy. A level playing field requires equitable access to information so people can learn, obtain employment, care for their wellness, and participate in their community." Hillsboro isn't the first city to offer its residents high-speed Internet access. According to Hillsboro, more than 80 cities across the country have built high-speed fiber networks.